Biophilic environments have been shown to have a calming effect on people, and in some cases making them more focused and measurably more productive. The technology-driven pace of modern life and the blurring of the lines between work and home spaces are leaving many people feeling disconnected from the world around them. As they look to their surroundings to help sooth these stresses people are demanding more from the spaces where they spend the most time, especially in their homes. They want to feel good about the furniture and materials they choose, to have a personal connection to their spaces, but they’re not always able to quantify what that might require. Realistic and synchronized woodgrain textures are sharing the spotlight with ultra-matte, anti-fingerprint laminate finishes that were developed originally for kitchen cabinet doors. Tracking global furniture design and consumption trends and listening to the next generations of interior and product designers (who also happen to represent the next generations of consumers! ), it’s very clear that people yearn for a better understanding of the elements that make up their world. Younger buyers are like new parents scrutinizing baby-food ingredients; if they don’t understand what’s inside, they’re not going to feel good about buying it. Decorative surfaces play a surprisingly large role in creating a positive materials story for designers and consumers. Combined with a composite wood panel core, the resulting panels give us a truly great materials story to tell. Cutting-edge edges are popping up everywhere. Matte-finish black TFL in a conference table contrasts nicely with a raw MDF edge. The authors are focused mainly on industrial metals, but the Five Levers are a perfect template for how we should be talking about the decorative surfaces you use on your closet and storage projects. While a full exploration of each Lever is beyond the scope of this article we can still scratch the surface enough to frame the story we should be telling to consumers. The longer a product lasts, the less often you replace it, saving materials. Decorative surfaces like TFL, 3DL, HPL and even decorative foils are more durable than veneers and solid woods, and much easier to maintain and keep clean. And should a component or panel get damaged, it can be replaced with an exact match years later – something that’s impossible to do with veneer. Further, with decorative laminates and materials matching programs we can sell on design first, then specify it on a material that perfectly fits any application or price point. Designers can truly value engineer projects for longevity and sacrifice neither budget nor design harmony. Lightweight MDF and particleboard use less wood fiber than standard panels. Panels with hollow or honeycomb cores use even less fiber, are easy to handle, and allow integrated lighting or wiring. All of these options will still carry most decorative surfaces. Composite wood panels and decorative surfaces are a match made in…factories! Some TFL surfaces are applied under the same roof as composite core production. 3D laminating surfaces five of six panel sides in one processing step, saving at least two edgebanding steps. 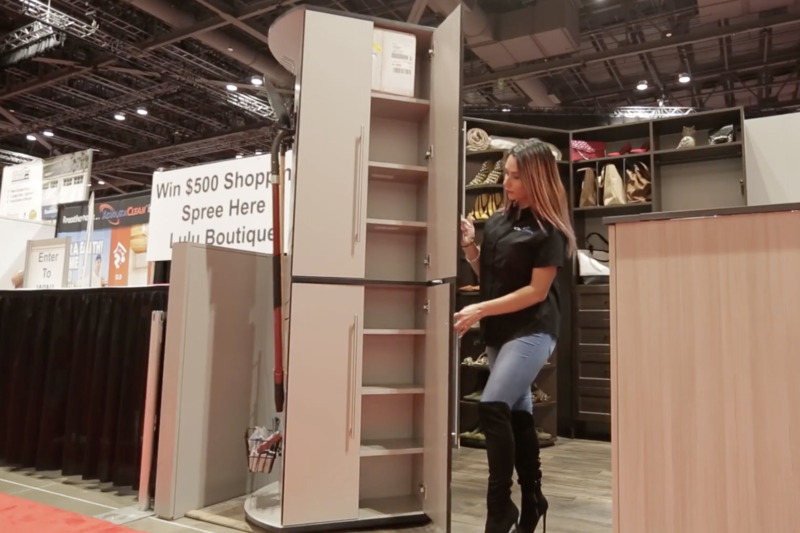 We can add installation efficiency to this part of the formula, especially in closets and storage, and the durability of laminate surfaces further reduces handling damage. In the case of decorative surfaces, this isn’t and either/or scenario. Substitution might be the strongest case we can make for the sustainability of laminates, an angle not previously considered by previous measures of sustainability. Any time we don’t have to harvest a stand of walnut, cherry, oak, rosewood, mahogany, or for that matter zebrawood or bubinga, the longer we’ll have them for musician instruments (where substituting materials rarely produces the same quality) and finer furniture. Beneath the surface, using composite wood panels over plywood or solid wood is another way to extend the use of virgin timber. Over 95% of the wood fiber used particleboard and MDF is left over from other furniture and lumber operations, material that would otherwise be landfilled or burned. The dimensional stability of these panels and the fact that they can be engineered for weight, fire, moisture and pest resistance, screw-holding strength and many other properties only adds to their value as the best possible substrate decorative panels. In their view, recovery is measured strictly at the end of a product’s life cycle. 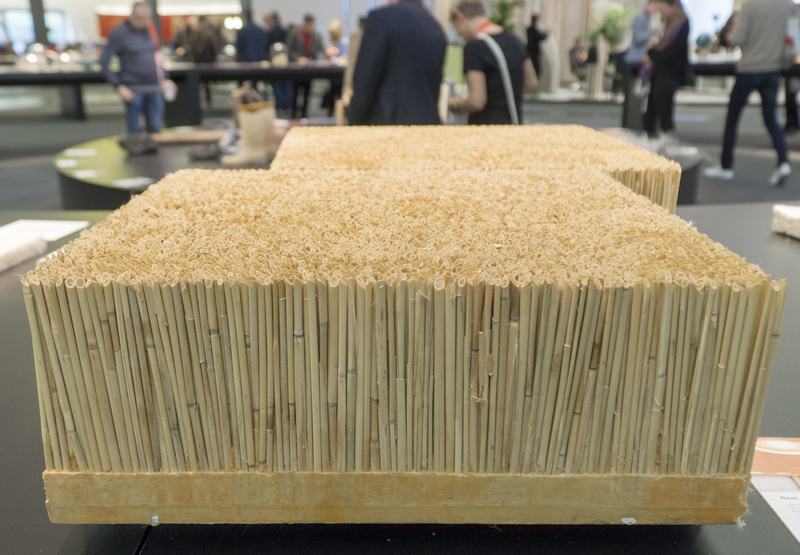 While it is true that replacing, reusing or repurposing decorative panels is a growing trend, our recovery story must begin with the wood fiber that goes into composite panels. • Formaldehyde is part of our biosphere and food chain. Every living organism produces it because it’s essential for primary metabolic processes. Mammals, fruits and vegetables, trees and plants all off-gas small amounts of formaldehyde. • For decades it’s been in everyday products like pill coatings, makeup and plastic dinnerware, and it forms the basis for the most effective and affordable wood-binding resin system available. • Attempts to create an alternative have thus far required the introduction of highly volatile additives (to replace formaldehyde’s natural pest-, water- and fire-resistant properties), and cost more to produce than the market will pay. • Composite wood panels produced in North America meet the strictest formaldehyde emissions requirements on the planet, and properly laminating these panels can further reduce emissions by 95 percent. It’s important to note that suppliers of decorative panels and surfaces haven’t changed their manufacturing models to become “green.” The advantages we’ve shown under the Five Levers to Minimize Materials Impact have been achieved not because we’re trying to “get green,” but because responsible use of resources is just part of our nature. It’s important that we learn to effectively tell this story throughout our materials value chain because no other material category even comes close to offering this level of sustainability advantages. Realistic and synchronized woodgrain textures are sharing the spotlight with ultra-matte, anti-fingerprint laminate finishes that were developed originally for kitchen cabinet doors. Two years ago at Orgatec there was an explosion of Linoleum work surfaces. Designers like its soft visuals and warm touch, and ability to make certain solid colors appear to glow. Since then the furniture industry has discovered that anti-fingerprint laminates offer the same warm touch and soft look as Linoleum, in a more durable and economical material. 3DL, HPL and TFL producers all offer variations of this texture, which is actually repairable in some materials. Loosely defined as “humans’ natural urge to affiliate with nature and other life forms,” interior designers interpret biophilia in a range of ways, from living-plant walls to putting images of clouds on ceilings. It could be argued that using veneers or printed woodgrains, although nothing new, are examples of biophilia, but in practice the effort should be more pronounced and obvious. In both commercial and residential spaces biophilic design manifests as feature walls and panel elements composed of natural materials, some to the point that they delight the nose as well as the eyes. Biophilic environments have been shown to have a calming effect on people, and in some cases making them more focused and measurably more productive. Many of these materials also offer great acoustic properties. Cutting-edge edges are popping up everywhere. Matte-finish black TFL in a conference table contrasts nicely with a raw MDF edge; banded wood edges give the illusion of an architectural plywood panel; woodgrain edges in solid wood, PVC, ABS or polypropylene add visual value and protection to simple white laminate tops. Material Intelligence organizes educational material exhibits like the Materials Pavilion at NeoCon, creates certified educational content on materials for architects and interior designers, and collaborates with design educators and students to nurture new thinking about materials and materiality. 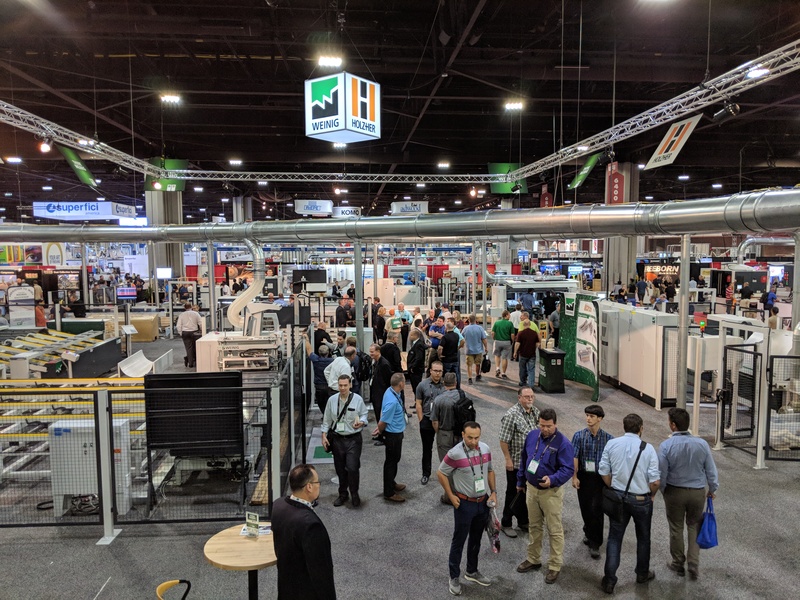 Founder Kenn Busch also covers the major materials and design fairs in Europe for the A&D and manufacturing communities and organizes the TCM North America Decorative Surfaces Conference. MaterialIntelligence.com.